KGMP Music Machine makes hot new artist list on AudioSparx website. Check out Kent’s music at www.audiosparx.com. 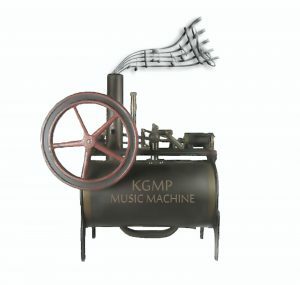 KGMP Music Machine is the combined efforts of Nashville songwriter, musician Kent Goodson. Kent is joined by AudioSparx featured artist Michael Panasuk. Together they produce commercial tracks with factory precision in some mainstream genre including Country, Pop, Rock, Singer-Songwriter, Blues, and Dramatic for Film/TV, Radio, the Internet, and Corporate use. AudioSparx is an industry-leading music library and stock audio web site that brings together a world of music and sound effects from thousands of independent music artists, producers, bands and publishers in a hot online marketplace. AudioSparx specializes in licensing high-quality audio content to clients in film and TV production, game production, ad agencies and others needing world-class audio cues for their productions and projects. With a vast library of audio content now exceeding 755,000 tracks, AudioSparx has become the definitive site of choice for stock audio. This entry was posted in Kent's Updates and tagged Audiosparx, KGMP Music Machine, Mike Panasuk, songs. Bookmark the permalink.